Beautiful apartment with private steam room underfloor heating indoor pool heated + gym 3 bed- 2 bathrooms, fast internet, 5 minutes walk to beach and port, truly international TV. The apartment was better than expected, comfortable ,clean & very well equipped. Gabi met us & explained everything,then left us to it. We enjoyed the apartment & the area that much that we stayed an extra six nights.. Our stay was a joy from start to finish, would definately recommend. We stayed here for a week with my wife and 3 small children. The apartment was very well equipped with everything available to make for an enjoyable experience. The apartment is well situated within a short walk to the port. Gabi was a great host. Would recommend highly. We have just returned from a two week stay in this apartment in Floridmar. The Apartment is situated near the port area of Javea and so supermarket, bakery and nice restaurants are all within walking distance. The apartment itself was spotlessly clean on arrival. The kitchen was lovely and was very well equipped with appliances and had a utility room off it. The living area was very comfortable and was nice and cool during the day. The best part of the holiday was how much enjoyment our kids got from the swimming pool. 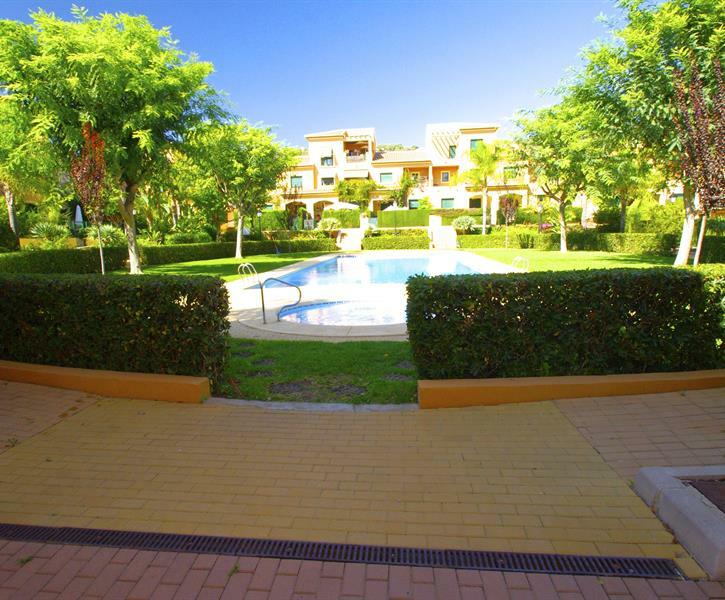 The pool is situated in the garden area of the complex and was very clean and well maintained. I would recommend this property and hope to return again.